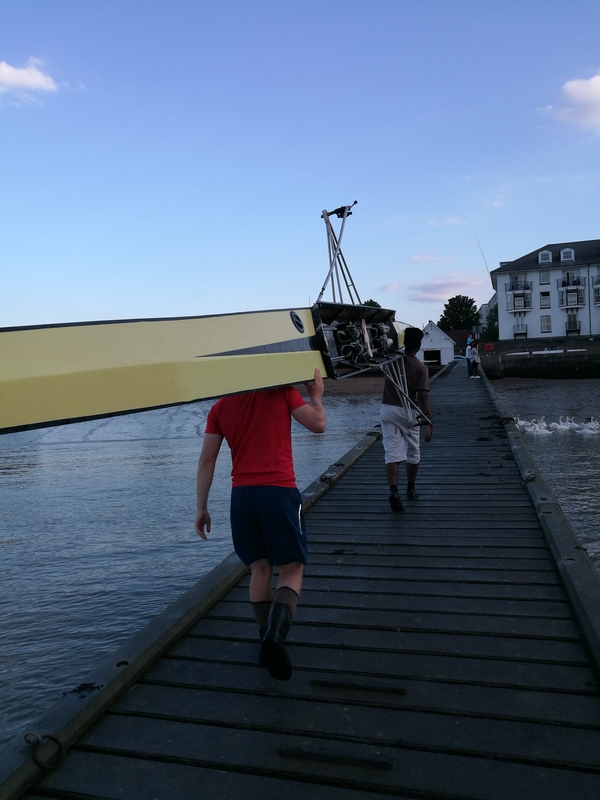 First time in several years that Gravesend has a crew in the prestigious eights Head of the River and it gets abandoned due to unsafe conditions after we’ve been on the water for two hours waiting to start! 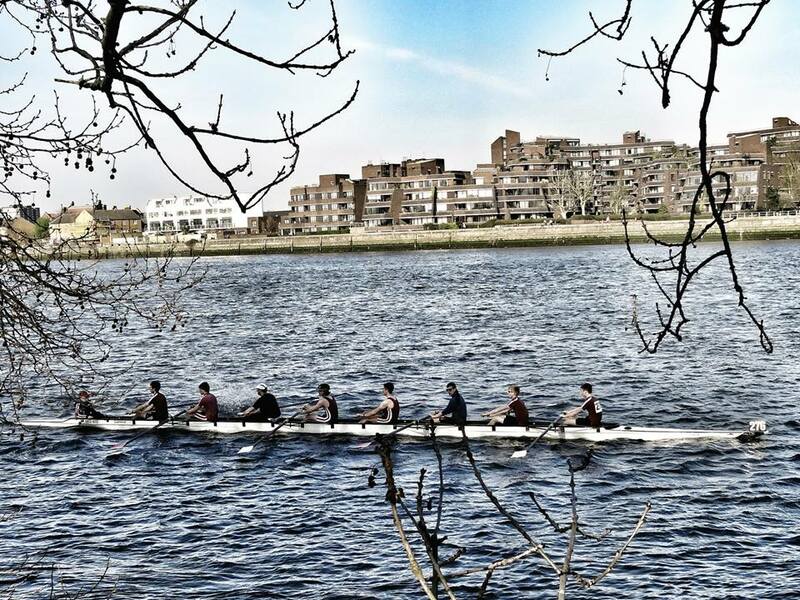 Apparently a few crews sank, and it did get a bit lively under Hammersmith Bridge. We boated from Barn Elms opposite Fulham football ground and at least managed a row to Barnes Bridge and back. 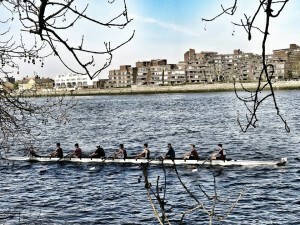 Thanks to Caitlin Page for the photo and to our gang of junior rowers who came up to London to support us.